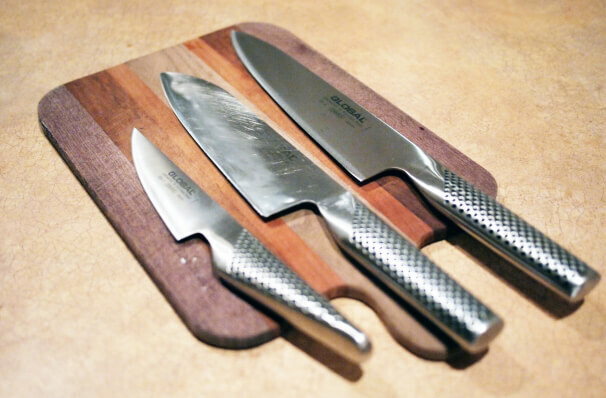 Japanese kitchen knives have been loved all over the world, and it is famous that they are highly evaluated. There are knife brands around the world, but why are Japanese Knives especially popular? I will introduce the reason, popular brands and so on. In the first place, could you guess what good knife is? If you use a cheap one, you cannot cut easily unless you put your weight on it, and there is often the case that the cut is rough. On the other hand, the good one can easily and quickly cut vegetables and meat with little power, and also enables beautiful slicing. In addition to what Japanese knives meet the condition above of good one, what are the advantages in detail? I summarized it in three points like below. 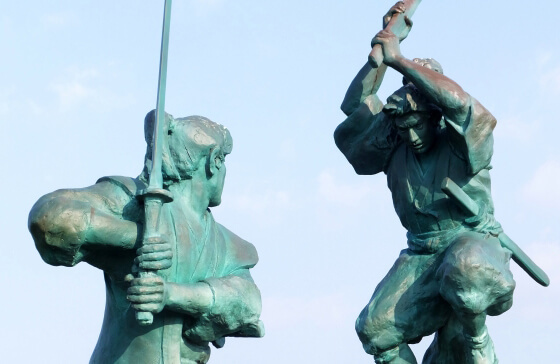 Japanese sword was always had by Samurai before. Japanese knives have still been made by the technique of making that Japanese sword, and it can be said that it is the world's best in sharpness. Among them, the ones made of steel are said to be excellent in sharpness. Since it is made by metal, it will deteriorate over time by using it. The biggest enemy is rust. The durability is different depending on the materials, people say Japanese ones would be relatively rust-resistant. Especially blue steel is more rust resistant than standard material like stainless steel. The kitchen knife used in ordinary households is made of carbon steel with a lot of impurities, on the other hand, the ones used by cooks and professionals uses the carbon steel with little impurities. Therefore, stainless steel which is used well is hard to sharpen compared to steel which is used by pro. However, it is said that the accuracy level of sharpening of stainless knives in Japanese kitchen knives is quite high. There are some difficult points if you do not get used to use it, but it will be the good one that can be used for a longer time by taking care of it. Based on the above three points, apparently, it would be best way to choose suitable one for yourself. In addition, there are many kinds depending on your needs. - Hamo giri（鱧切） / Honekiri knife（骨切包丁） : Knife to cut fish's small bone. If you use the knife at home, we also recommend small petit knives. Please multiply the needs and performance points and find the ideal one. Up to next, I introduce Japan's famous production area and the popular brands. 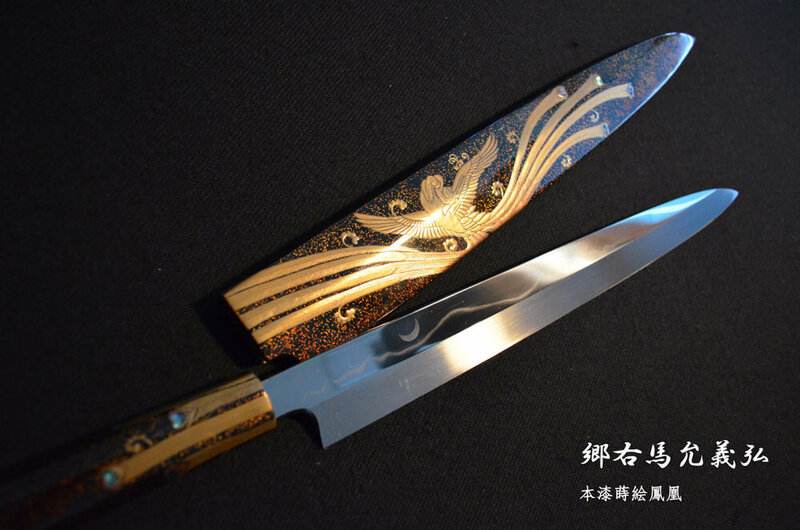 It is said that many professional chefs in Japan use Sakai city's kitchen knife. It has about 600-year history. Originally, cigarette kitchen knives that chopped tobacco leaves were made there in 16th century, and it were combined the technology of gunsmith in Sengoku era(1467-1568). After that, since it was evaluated as the monopoly products by the Edo shogunate, it was sold every region of the country in Japan. Its wonderful sharpness has gained tremendous trust and attracted many professional chefs. Traditional fire making, blading and sharpening techniques made by a perfect division of labor is the feature. Thone of representative Sakai's kitchen knife manufacturer, YAMAWAKI Cutlery MFG., LTD has developed their own brand Goh Umanosuke Yoshihiro. The look of the profound feeling like sharp swords and sharpness would be exceptional. Thier knives are made at their own factory through many working process. It is said that 51% of Japanese knives have been produced there. Since this area was the center of the Sengoku war period (1467-1573), and there were also many swordscraftmen, it became the largest cutting edge producing place in Japan. According to Nikkei Trendy The ZWILLING in Germany also have produced knives there. When it comes to Seki's popular company, KAIJIRUSHI(貝印)Fgl has two representative brands, "Shun (旬)" and Seki-Magoroku (関孫六). Kaijirushi could develop the knife industry to the world with the razor as a trigger, and is also good at manufacturing edged tools except kitchen knife. Cost performance would be wonderful, and especially, the sharpness of meat knife's blade have good reputation. "Tsubame Sanjo(燕三条)" has been the famous city as the metal processing with high technology for a long time. 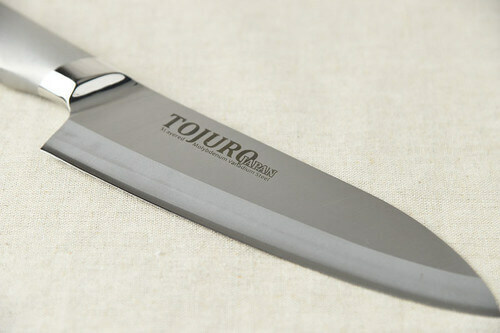 The largest knife for business use brand "TOJIRO(藤次郎)" was also born there. There are also popular products which you have to wait over one year! What kind of them? Based on the concept "For those who creat something, not just cooking", this brand has been supplied by Yoshida Kinzoku and a product desiner Koji Yamada. They have beautiful design with blades and handle integrated. They have been highly evaluated by all over the world including Sweden, Germany, Italy, the Netherlands, France, the UK and the United States. This brand were founded 1894 with a history of 90 years. They also have exhibited in Ambiente, Germany's exhibition. Especially, the kitchen knife for cutting vegetables is so popular, vegetables can be cut with minimal power. I heard that tomato can be sputtered with just one hand. They are popular brand founded in 1948, they often have featured in various media. The natural design is easy to get for women. Among them, baking knife is too popular, so it is said that we have to wait for one and a half years. Japanese kitchen knives are loved by kitchen goods enthusiasts and chefs around the world. Its sharpness improves your work efficiency, you will be able to enjoy and cook delicious more beautiful dishes! There is a Seki's kitchen knife in my parents’ house, it made me feel the confidence of cooking skill just by having it. As it is often said the look is like the samurai sword, the design is also attractive due to the pretty low-keyed and cool look. Why do not you find any good tools that will improve the quality of life together? Japanese knives are also sold in SUPER DELIVERY. If you have any questions, please do not hesitate to consult us.